Have you ever felt discontent about the current state of your home? 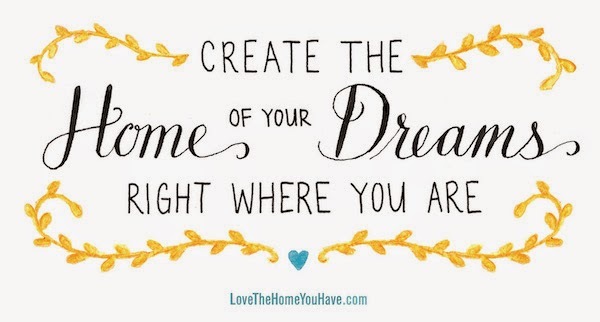 Maybe you're consistently feeling over-whelmed and under motivated to create or maintain the home of your dreams. Do you find yourself waiting until the next move, or a future house to really get intentional about creating a haven of beauty peace and rest to retreat to? "After living the house-hopping life for so long, I was tired of searching. I was ready to quit running on the squeaky hamster wheel, trying to arrive at perfect circumstances. Instead, I would start considering what contentment actually felt like and what was required to live in it. I craved simplicity. I wanted to slow down and feel gratitude for what I already had. I wanted to stop looking for something more beautiful beyond my reach and just embrace the daily pleasures and things I learned to love in every single house." "We are blessed to manage our own little heaven on earth— our homes— wherever they might be. 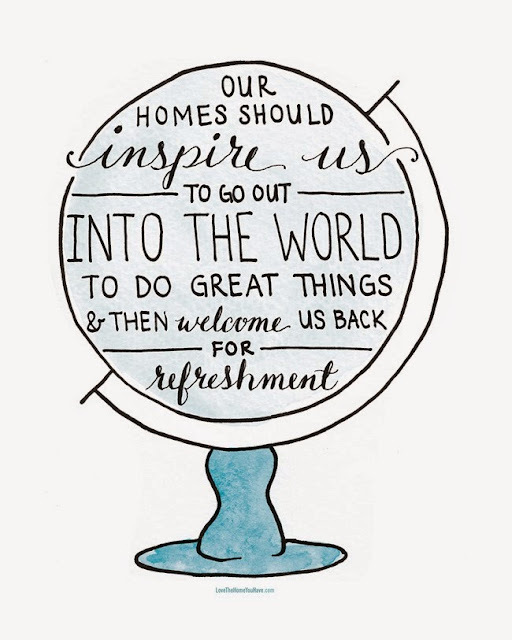 There is divine purpose in caring for our homes and wanting them to be places of loveliness and peace. Our homes won’t ever be perfect, but we certainly can enjoy the process of creating beauty, and we can appreciate the lessons we learn along the way." I especially appreciated and related to Chapter/s 6 & 7. 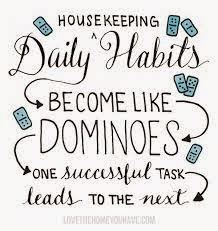 'The Reward of Daily Routines' shares about the power that simple daily habits will provide toward keeping a neat and tidy home. Her authentic and down-to-earth writing promises to encourage you to embrace your current home and inspire you with simple and achievable ideas to create more beauty and function in your home - right where you are. 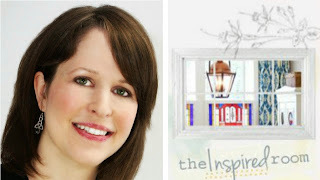 Author, Melissa Michaels writes regularly on on her blog, (The Inspired Room) about her own home and things that inspire her about decorating, homemaking and organization. 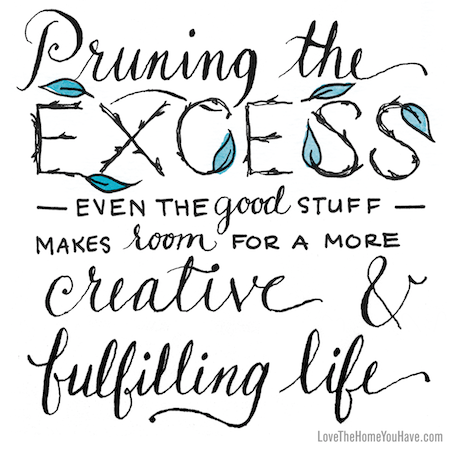 She shares posts on how to decorate, or to get inspired when you are in a slump, how to organize a home and keep up with homemaking. 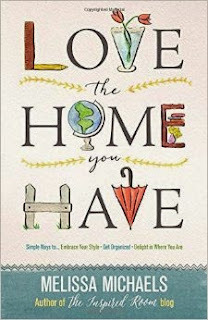 In her book, she builds upon similar simple and achieveable ideas like four daily routines and plenty more inspiration and motivation on how to fall in love with your home. Ready to get encouraged, motivated and inspired to Love the Home You Have!? Now available at Amazon, Barnes & Noble, and iBooks. 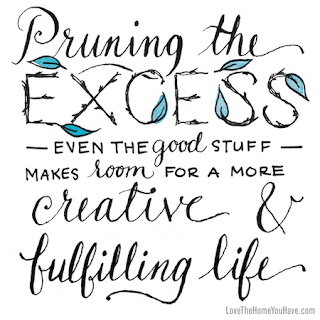 Perhaps you're currently feeling completely overwhelmed by your clutter & mounting personal organizing goals?? Or, maybe there is a space or two in your home that simply needs a fresh set of objective eyes to to bring to it's fullest organized potential? Maybe having an organizing buddy, cheerleader and coach that could encourage you one-on-one would help to achieve the success you need and deserve, to allow you to live a more peaceful life you LOVE with more time and energy to participate in activities and hobbies you enjoy! Contact me to learn more about how to get organized with my services. 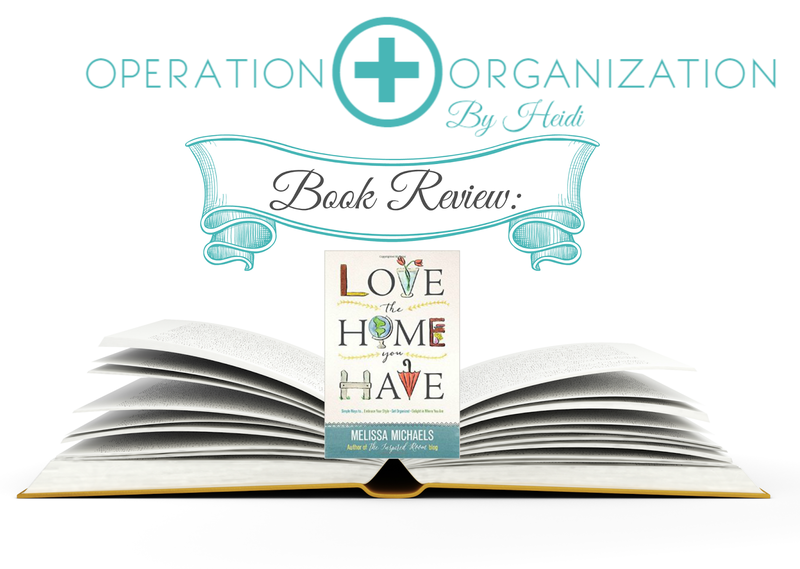 Operation Organization by Heidi provides customized organizing solutions to 'cure' your unique clutter challenge / condition. Based in Peachtree City, Georgia, This Professional Organizer serves clients one-on-one in the surrounding area of Fayette and Cowetta County:(Peachtree City, Fayetteville, Tyrone, Senoia, Sharpsburg, Newnan, Brooks and beyond) . There are also specialized services to aid long distance clients with virtual organizing coaching services as well. Email: OperationOrganizationByHeidi@gmail.com or Call: 770-847-0329 to learn more. I was provided a printed copy of 'Love the Home You Have' for the purposes of sharing my honest opinion. I only agree / volunteer to review products and services which I feel are truly relevant to my readers and clients.